How to Apply Raw Cabbage Leaves To Relieve Joint Pain? Joint pain may result from an injury that one sustains when doing a certain activity like sports or in an accident. The most common cause of joint pain is arthritis. Arthritis is a disorder that causes inflammation of the joints. There are over one hundred different types of arthritis and two most common ones, osteoarthritis (OA) together with rheumatoid arthritis (RA). OA: This type of arthritis is caused by worn out joints and it is most common among the elderly. It takes a long time to progress through the body and it usually affects the joints that people use the most i.e. wrists, knees, hands and hips. The joints get painful and may be tender but there may be little or no inflammation. OA does not usually affect the whole body; it usually targets certain joints and gradually spreads from one side of the body to the other. RA: This form of arthritis happens when the body’s immune system starts to attack the joints. It can affect anyone at any age but it is most common among women. It attacks the joints by causing pain, stiffness or inflammation and it manifests quickly. RA attacks the whole body at the same time. When one experiences sudden severe pain, joint tenderness, and redness of joints – especially under the big toe – they are said to have gout. Anyone can be affected by gout but it is most common in men. Gout occurs when the body’s content of uricacid builds up. Uric acid usually dissolves in the blood and it gets excreted through the kidneys in the form of urine. If this does not happen, then it crystalizes and causes pain in your joints. Joint pain can also be caused by common daily activities. A sprain happens when one stretches or tears the ligaments. The most usual part of the body to get sprained is the ankle. A strain, on the other hand, occurs when one stretches or tears a tendon or muscle. It usually happens in the lower back or at the back of one’s thigh. If you experience any of the above symptoms, then you may need to see a doctor for further diagnosis. This may be achieved through a physical exam, x-rays, blood tests or screening for autoimmune disorders. How Joint Pain is Treated? Medical treatment may be used to ease or eliminate joint pain depending on the cause. Once a doctor has made an official diagnosis then treatment options may be suggested. The doctor may have to draw out extra fluid present in the joint area in order to relieve the pain. Sometimes surgery may be suggested. Over-the-counter medication is also available for the relief of pain. 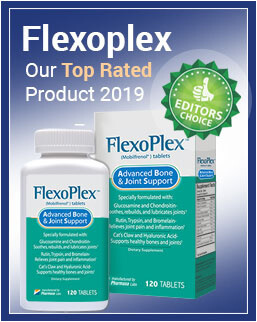 Medication that contains anti-inflammatory properties such as ibuprofen, aspirin or naproxen sodium may also help joint pain that is associated with swelling. Home treatments may also be used for those who prefer natural remedies to drugs. Home treatments may involve some physical activities such as stretching the affected area, following some exercise program, keeping a healthy weight etc. Food items at the household may also be used to relieve joint pain. Cabbage is one food item that may relieve joint pain naturally. Red cabbage has phytonutrients that fight inflammation. According to a study published in Research in Pharmaceutical Science, applying extracts of cabbage on the affected parts reduced swelling. 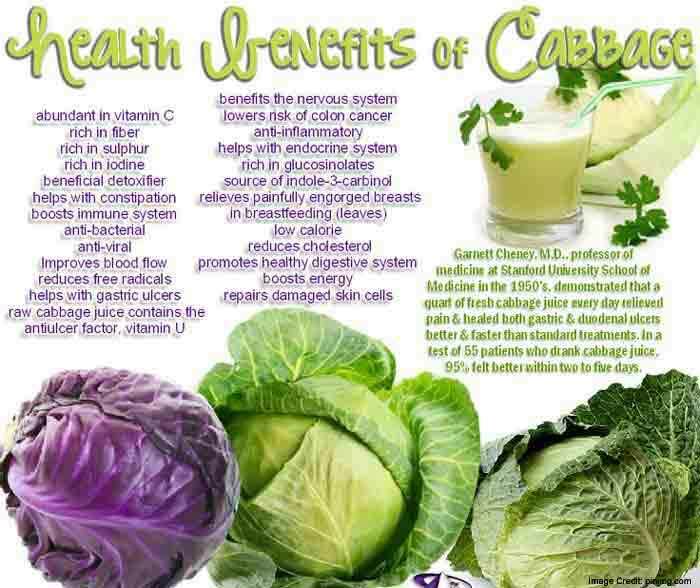 How to use Cabbage to Relieve Joint Pain? After you have washed the leaves, place them on a flat surface for you to cut out the stem. Let them dry then you will then need to gently bruise the leaves for the cabbage juice to be released. You can use a bottle or rolling pin for this. Place the bruised leaves on the affected joint and wrap with a bandage, keep the area raised if possible. Keep the bruised leaves on the affected area for about an hour. This process can be repeated with fresh leaves twice or three times a day. Joint pain may differ in severity due to what caused it. There are different causes of joint pain and before you get a diagnosis you need to look at the symptoms so that the doctor can know which type of joint pain you are experiencing. Different forms of treatment exist for treating different types of joint pain. Cabbage can be used to ease swelling caused by arthritis.